Rebooting a franchise within a decade of the original film is a daunting task. It comes with its own built-in obstacles. Generally speaking; difficult movie studios, audience burnout and cynical critics are the main risks involved in taking on a project like this. However, when it’s Spider-man, it gets even trickier. No one wants to be the one responsible for tanking one of the most iconic superheroes ever. In addition, legions of comic book fans will be watching and waiting by their laptops for any signs of movie weakness to exploit on their particular fan forum of choice. Certainly one of the biggest concerns involved in bringing back the friendly neighborhood Spider-man to the big screen is that it no longer dominates its genre. 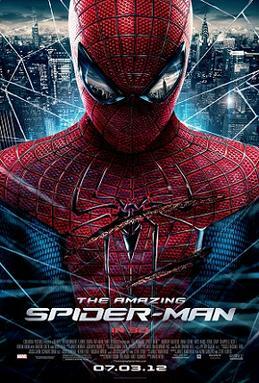 Ten years ago, the original Spider-man was the best comic book movie that had ever been made, and now, it barely cracks the top ten lists. Movies such as “Sin City”, “The Avengers” and “The Dark Knight” have completely changed audiences’ expectations of what a comic book movie can, and should, be. Suddenly, great special effects aren’t enough. Characters with emotional depth, and story lines that don’t insult the audience’s intelligence, are becoming the new normal. And anything that falls short of it is headed straight for the local department store’s $5 DVD bin. The good news is “The Amazing Spider-man” won’t have that tragic fate—not for anything amazing or original that the movie has to show us, but for its potential as a rebooted franchise. Spider-man finally feels a lot more like Spider-man. He’s smart and capable, and his transformation in becoming a superhero works with his natural abilities instead of just changing him into something completely different. His relationship with his aunt and uncle are more glossed over in this iteration, but it’s weightier. We see Peter Parker as a vulnerable kid who makes mistakes, who isn’t consistent in his emotions, and grows into his powers the same way he’s growing into himself. Not only does the script reflect this, Andrew Garfield brings this out masterfully in his acting. Not much can be criticized with the rest of the film’s delivery. It balances campier moments of the comic book with emotive depth; it fleshes out basic origin story characters without moving too quickly, and provides enough of a villainous foil for the audience to take seriously by the end. Unfortunately, it also didn’t offer much of anything new. Swinging from buildings and crashing through walls won’t become anymore interesting no matter how much the audience cares about the characters. There’s also a sense of lethargy that sets in knowing that nothing truly consequential will result from a fifteen-minute tussle between good and evil. The audience knows who’s going to win, and very few directors will convince us that anyone is in any real danger with this knowledge. In the end, this is what we should have seen ten years ago. This is the Spider-man origin story that fans deserved back then: characters that moved with relevancy, and stories that resulted from the characters motivations, rather than motivations coming out the character’s story. If the trend continues, there’s real hope for the future of Spider-man. I didn't LOVE this movie, but it certainly made me want to see more. I think ti will be a really good trilogy in the end. Nice review!